A PDF copy of my resume can be found here. Below is a more detailed account of my experience and skills. Links direct to examples. Led design and management of mechanical assemblies, fabricated metallic and composite parts, dealt with outside vendors for buy or make decisions, tested and integrated final robotic subsystems. Subsystems are related to the Parkour Cars project and miniature actuation solutions. 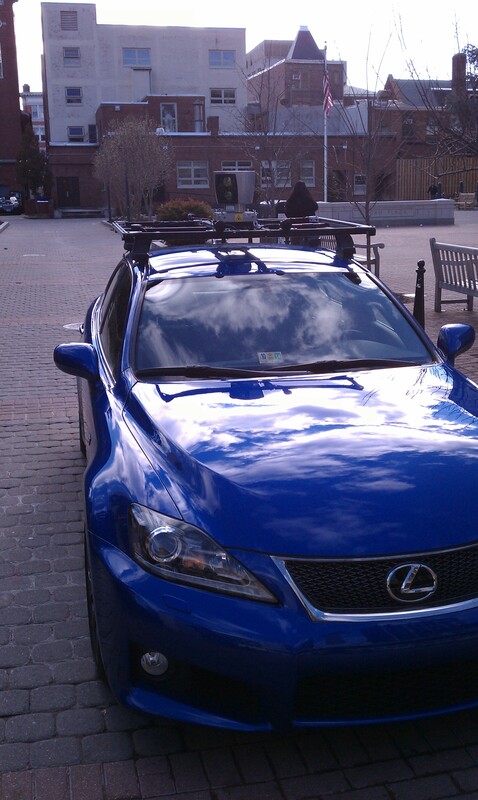 Led design, fabrication, and integration of mechanical subsystems related to the Autonomous Lexus project (picture two). I worked with cross function team members to integrate electrical and sensing subsystems. Led research into miniature hydraulic and pneumatic actuation solutions. Management of multiple projects procurement supply chains. 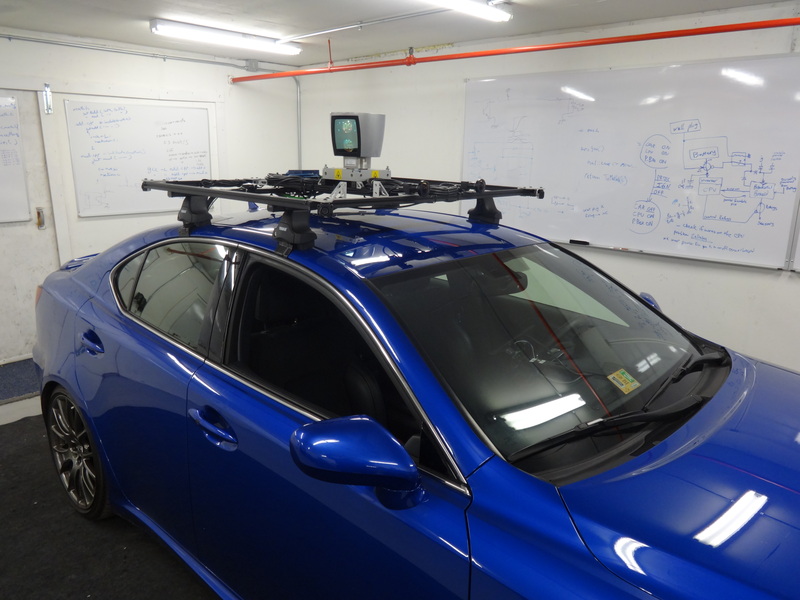 Building lab infrastructure including set up of Dense Motion Capture lab and Autonomous Car lab. Lectured on CAD and CAE topics ranging from design intent, beginner, intermediate, and advanced modeling and FEA techniques. The course revolved around Pro/E WF 5.0 and ProMechanica. Students completed three modeling projects and a final FEA optimized project. Class size of 14 students (Spring 2013). Class size of 78 students (Spring 2014). Led lab and recitation sections for courses in Intro to Engineering and Intro to Mechanical Engineering. Topics included ethics, MATLAB instruction, basic study into the pillars of mechanical engineering (structures, thermodynamics, and fluids), and hands on reverse engineering labs. Average class size was mid 20s. Leveraged relationships with foreign institutions to create robust, complete study abroad programs for undergraduate engineers with excellent support at GW and the foreign institution. Expanded first two partnerships in both population and scope — Korea University by 37% in population and University College Dublin by 18% in population with 1 new major and expanded service for biomedical and systems engineers during the fall semester. Extended options to HKUST (two trial students), City University of London (one student) , Bogazici Univeristy (three students), U. Nicosia (two students), U. New South Wales (two students), Queen Mary U. (one student), U. Melbourne, and U. Sydney. Led logistics backbone team for the 2011 New Student Getaway. Investigated nanoscale drug delivery via cold plasma treatment, specific to fibroblast cells. Led the manufacture and design of bamboo road bicycle frames. R&D included testing epoxies and fibers used in the joints, heat treating methods for the bamboo, and SOP for manufacture. Integrated flight and GSE hardware, primarily associated with, but not limited to, the MULE carrier. Created traceability and work order reports for GSE and flight hardware. Assisted with various tests of flight and GSE hardware, including acoustic, vibration, and electrical. Led exploratory testing on a subsystem, recommended changes, and integrated changes into the final flight configuration. Fully competent in Windows and Mac OS. Capable with Linux. Thank you for reading. As note, a PDF copy of my resume can be found here.